The government’s decision to ban bulk SMS and MMS services for 15 days, to check spread of rumours that has led to exodus of north-eastern people from certain parts of the country, has made telecom operators and bulk messaging service providers jittery, as they fear this may cause revenue losses to the tune of 30 per cent. The department of telecommunications (DoT) has already sent out directives to telecom operators asking them to ban such services with immediate effect. The panic mainly spread after SMSes and chain mail threatening people from North East started doing rounds. Police believe a doctored MMS on the recent ethnic clashes in Assam, in which close to 80 people were killed, provoked attacks. People from northeast continued to flee the state in hordes for the third consecutive day on Friday. The exodus so far confined to Bangalore has now spread to some other parts with people of the northeastern region living in Mysore, Mangalore and Kodagu arriving here in trains and buses and rushing to railway counters to buy tickets. More than 15,000 people have fled from Bangalore in the past two days following the rumours, official sources said on Friday. According to Mathews, operators on an average get 15-18 per cent revenue from SMS services. A ban of 15 days means they will lose around seven-eight per cent of revenue this month from this service alone. According to a bulk mobile messaging service provider firm, revenue losses for such companies could be as high as 30-40 per cent. 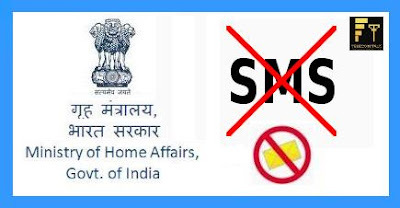 No one will be able to send more than five SMSes in one go and more than 20 KB of data through mobile phones during the ban period. A DoT official, however, said the operators would be asked to allow emergency services from banks, railways and airlines. But, there is no clarity on whether other emergency services could be allowed. “For example, schools use bulk SMS services to connect with students and parents,” said Vishwadeep Bajaj, founder, ValueFirst. “We are taken aback by the government’s directive. SMS is a powerful medium. Various institutes use this service for providing important, critical as well as emergency services. Moreover, instead of banning this medium, the government should use it to spread correct information,” he added. The ban came into force after Prime Minister Manmohan Singh had said the spread of rumours by miscreants had created panic among people belonging to the northeast leading to their exodus from places like Bangalore and Pune among other areas. Earlier, some political parties urged the government to shut down social networking sites, such as Facebook, Twitter, etc, for a few days to prevent the spread of rumours. This is not the first time the government has banned such services. During Independence Day, bulk SMS service was not allowed in Jammu and Kashmir. Also, after the Ayodha verdict, bulk the service was banned for a certain time period. The license agreement of telecom operators have conditions under which in the interest of national security the government can ask operators to ban certain services.